With the camping season in full swing, have you decided your camping spot in Australia yet? If you want to set your tent in the best camping spot in the country this season, we have some great news for you. The natural beauty of Australia awaits to welcome you with your tent, duffle bags, and a great company. 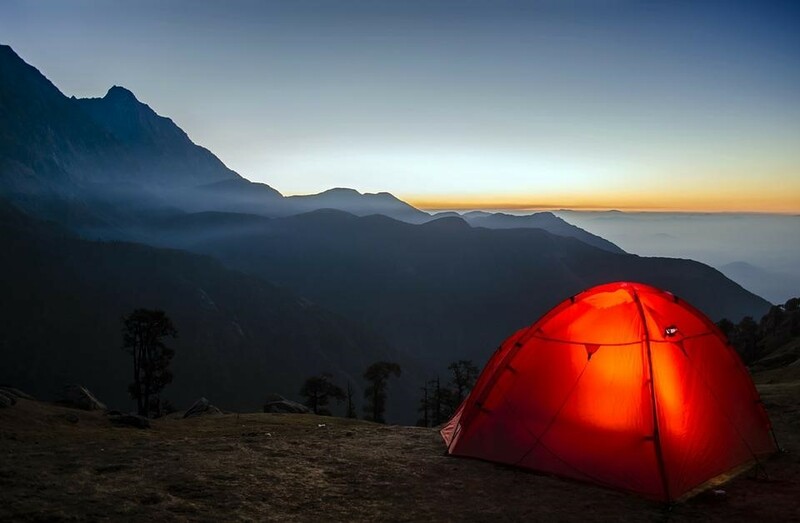 Check out these top five camping spots you don’t want to miss out! If beachside camping is your thing, you can’t find a hotspot that could even come near the Noah Beach Camping area. Located at the Cape Tribulation, you can set your tents and get started with your camping adventure just 50m from the shoreline. What makes this place more beautiful and attractive is how it is wedged between Wet Tropic Area and the Great Barrier Reef. The incredible views are breathtaking with sandy white beaches on one side and rainforest mounts on the other. Explore the thick rainforest or go for a quick dive in the cove, this place has so much to offer for any adventure enthusiast. Pitch your tent at this incredible camping spot, which is only steps away from the second highest peak in WA. Make the most out of your camping experience and explore the greatness of Karijini National Park. The area is covered in scrub and red rocks but also features some of the most picture-perfect waterholes, swimmable gorges, and pools. Be ready to be stunned by the beautiful sceneries as you set your camp in the area. Don’t miss out on Joffre Gorge and Fern Pool when you visit the wild trails of Karijini National Park. Find your way to the whitest sand you will ever witness at the beautiful Jervis Bay when you go camping to the Booderee National Park. There are two major campgrounds in the region that you can choose from – Bristol Point and Green Patch. The shoreline is where you can witness frolicking dolphins as you enjoy a swim in the ocean or sit by the shore to witness the beauty and serenity of this place. To make your trip more adventurous, don’t forget Cave Beach, which is the third campground and is located in between Wreck bay tea trees. The Memory Cove campground is the perfect, picturesque coastline you can witness in South Australia. This is where you can experience tranquility at its peak. Enjoy the beach with sparkling water, white sand, and vegetable capes. If you love bird watching, get ready to witness some of the unique species in the region. The campground and shoreline is home to more than 120 bird species alone. And while you are relaxing on the shore, you can expect a surprise visit from dolphins and sea lions too. It is, however, important to remember that only fifteen vehicles can visit the area in a day. So if you don’t want to miss out on this super-amazing experience, get there early and grab the opportunity. And if you are planning to drive through the tracks, don’t think about anything other than a 4 wheel drive to avoid trouble. If luxury is your type, you won’t be disappointed. Not all camping experience should include a self-adjusted camp when you have luxury yurts for your accommodation. The region is perfectly blended with swaying red trees and enchanting bushland. To make it all the more exciting and interesting, there’s a Murray River that keeps the environment cool. Enjoy a warm dip in the outdoor hot tub or relax in the hammock amid the fragrance of eucalyptus, which is hard to ignore. Can’t resist exploring the area? You can rent bikes and canoes and make your camping adventure more adventurous! Australia will never disappoint you as far as treating your wanderlust is concerned. It is full of natural highlights, white-sandy beaches, pretty coastal walks, and dense rainforests, and what not. If you’ve been eyeing camping tents for sale, now is the time to get them. Pack your bags and find a spot that you love. We bet you’d have an amazing camping adventure this season!